J. Chem. Phys., (October 2000). in this thermotropic model system. We have considered a system of biaxial particles, using a generalized attractive-repulsive biaxial Gay–Berne pair potential that we have previously developed. We consider the effect of changing the interaction biaxiality and examine a few cases where shape and interaction biaxiality have the same or opposite sign. 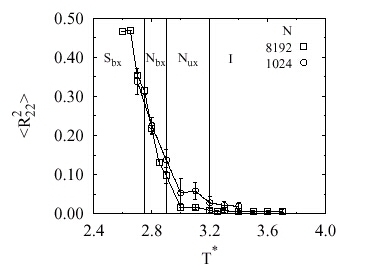 Figure 1:Distance dependence of the biaxial Gay -Berne (U*) energy for the parameterization described in the text corresponding to shape biaxiality ls= 0 .216 and interaction biaxiality le = -0 .06. We have performed a fairly large scale isobaric-isothermal (NPT) computer simulation for a system of biaxial particles with a selected parameterization and show that it forms biaxial nematic and smectic phases. We characterize the observed biaxial phases in terms of orientational order parameters and a suitable set of averaged Stone rotational invariants. 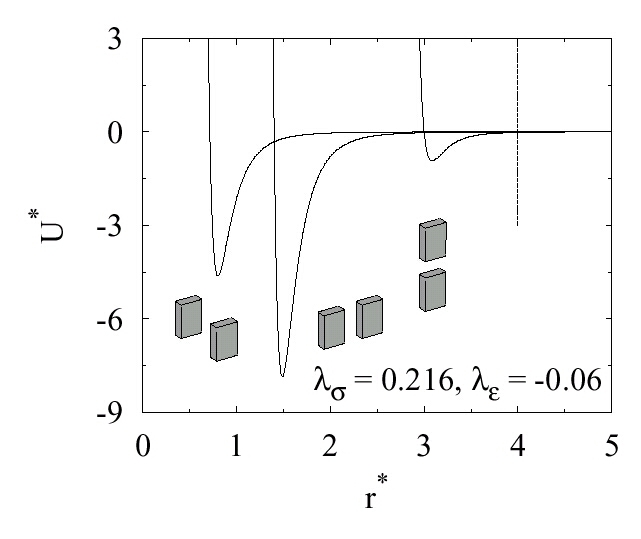 Figure 3: Orientational order parameters <R 222> for systems of N =1024 (circles) and N=8192 (squares) elongated GB particles with shape biaxiality ls= 0 .216 and interaction biaxiality le = -0 .06. Our conclusion is that thermotropic biaxial nematics and smectics can exist also for off lattice attractive-repulsive systems in competition with crystalline phases.